The easiest way to select your course equipment is to order one of our pre-configured Innova Disc Golf Course packages. Our packages contain the special items needed to get your course in the ground. 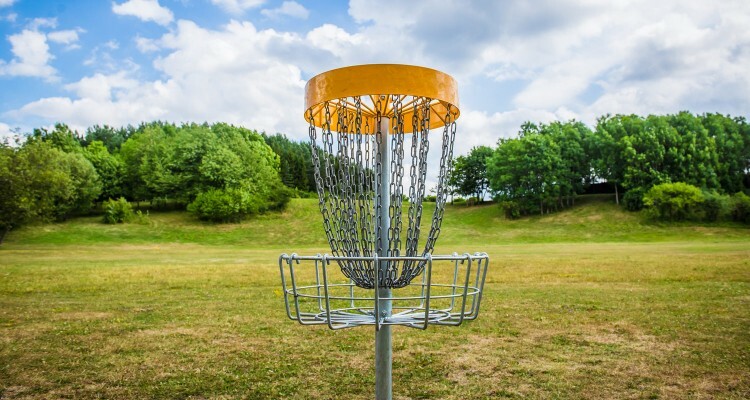 Our course packages include: Innova DISCatcher® PRO Permanent targets, installation tubes for ground installation, INNOsign tee signs, and a rules sign to explain how to play disc golf. Each target comes complete with everything needed (except your padlock). Completely assembled chain rack, basket, center post with locking collar, and ground installation tube. The DISCatcher® is approved for play in all Professional Disc Golf Association events. The final piece is the recreational rules sign which introduces players to six basic rules to play by, allowing for safe, fair, and enjoyable rounds. In addition to our course package, you’ll need to supply: locks for your DISCatcher® targets (we recommend a set of matching locks), sign posts, and concrete for target and sign installation. All of these are easily obtained at local home stores. ✝ Prices subject to change. Please call for most up to date prices. * Freight pricing is estimated. Please call for specific freight quotes. Innova products now available through GSA Advantage!® Online Shopping.